Chelsea attacker Eden Hazard has stressed that he has no issues playing out of position for manager Antonio Conte. The Belgium international has featured regularly in the false number nine role of late, but he is content with the decision, given it offers him the chance to participate from the playing field. 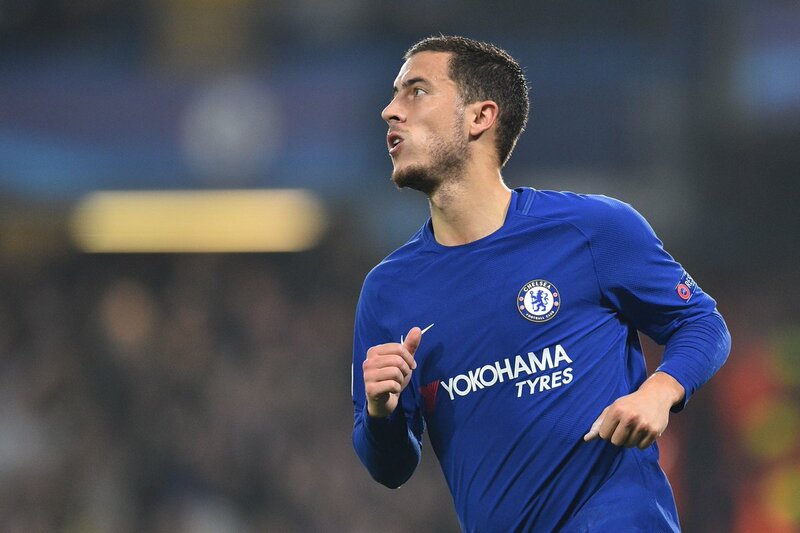 Hazard was seemingly unimpressed with the lack of service during a game against Manchester City earlier this month, but in an interview with Sky Sports News, he appeared to indicate that he would prefer to play in any position for the club, he said:"I just want to be on the pitch. Number 9, 10, I can play left-back if the manager wants, no problem. I just want to be on the pitch and try to give everything like I do every time. Meanwhile, Hazard’s future has come under question over the past couple of months, but the 27-year-old has reiterated that he is happy at the west London club and he is only focusing on the duties ahead, which include a summer World Cup in Russia, he added:"I'm happy with Chelsea. I am just thinking about the end of the season and the World Cup. I have got two years left on my contract so I am just happy." Hazard has continued his fine form from the previous campaign with 15 goals and six assists this term, but of late, his performance levels have dropped, probably due to the fatigue associated with participating in different competitions. Chelsea were ousted from the Champions League prior to the international break, and their only chance of silverware now lies in the form of the FA Cup, where they take on Southampton in the semi-final stage next month. From then, they may face one of Tottenham Hotspur or Manchester United in the final in May.